Gaga: Something old, something new, something borrowed, something whew! There’s nothing better than attending trade group events with the opportunity to get up close and personal with industry movers and shakers and check out the way they move and shake. Often, for a nominal fee, you can join a trade organization and gain intimate access to the best minds in the business who are very generous with ‘how they do it’ and end up with their email addresses as well. At these events, preening, yet humble, industry titans seem to be motivated by a combination of altruism, egoism and legacy when addressing peers who seemingly hang on to every word they say. They have passion and pride in what they do (altruism and egoism) and they seem to revel in creating new pathways to process and success (legacy). Association of Independent Music Publishers (AIMP) and National Music Publishers Association (NMPA) are two organizations that provide extraordinary networking opportunities. Recently I was able to attend events by each group on the same day. At the AIMP luncheon, which I attended with my colleague, Cynthia Biggs, who penned Patti Labelle’s “If Only You Knew,” we had a choice of meat or vegetarian entrees along with the open bar. 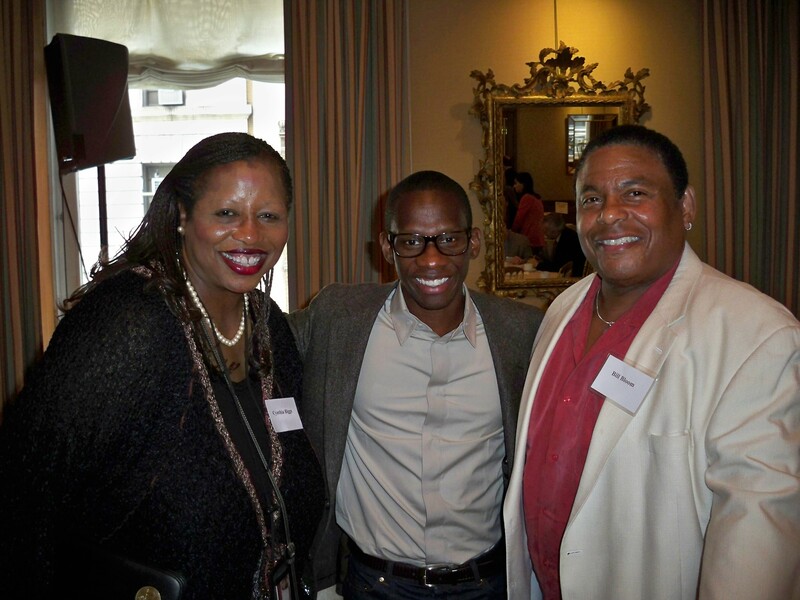 The keynote speaker was Troy Carter, Lady Gaga’s manager. My mouth dropped as I spied this rather slight, unassuming man who was a dead ringer for my late best friend (the pianist, composer, arranger, teacher and Duke Ellington collaborator, Roscoe Gill, Jr.). Carter looks like he’s in his mid-twenties but his resume belies that. He held court as his rapt audience listened wide-eyed, heads nodding in assent as he spoke about the hard work it took to create Lady Gaga. Despite her ubiquitous presence, he stressed that pounding the pavements, hitting up clubs, radio and tv are still the most important avenues for artists’ exposure. Beyond that, however, it requires looking for ways to generate a loyal, engaged fan base – not just having the most twitter fans, which don’t necessarily translate into record sales- and seeking them in their new environments. The wise manager will connect and surround herself with with those agents of change who are even wiser than she and empower them to do what they do best. New digital platforms still need to be supported by the tried and true grunt work that has always driven pop music exploitation led by artists who are talented and committed to hard work. 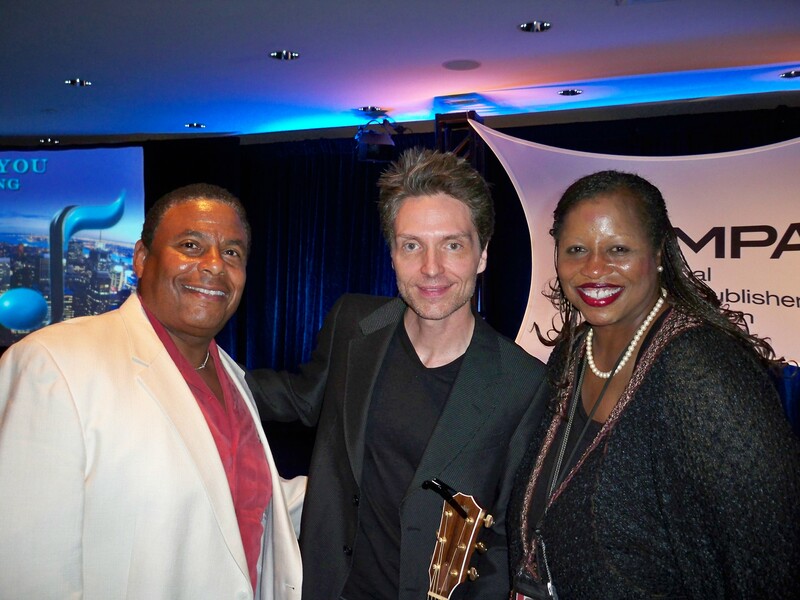 Two hours later and two blocks away from AIMP’s confab, NMPA’s annual meeting and reception provided an intimate setting to connect with musical icon, Richard Marx, honored for his artistic contributions to the business, and other industry leaders who are hard at work trying to protect the intellectual property rights of songwriters and other content providers, globally. Attendees had access to leaders as diverse as, Gary Churgin, the president of Harry Fox Agency (HFA) and Kenneth Feinberg, who is the Special Master responsible for distributing the financial settlements for both Katrina and the gulf oil spill to keynote speaker, John Morton. Morton, Director of U.S. Immigration and Customs Enforcement at the Department of Homeland Security, discussed the agency’s efforts to enforce copyrights against digital theft. Again, an open bar and good food facilitated a relaxed networking opportunity to listen and be heard by the industry’s best. Among my takeaways from these fun events are promotional ideas to pass on to my Double Dutch Daughter, Gina Bloom and her fabulous group, The Congregation, and connecting with a top notch attorney who can help me navigate the process of retrieving assigned copyrights (I was young and foolish) that can now revert back to me. A sunny day in NYC, 65 bucks plus parking. Not bad! Double Dutch Dad Goes Gaga! It was a busy week for the Double Dutch Dad, Bill Bloom! During their spring concert last Sunday, the Philadelphia Boys Choir and Chorale debuted the orchestrated version of his song “Everybody Shines!” which has quickly become a choir favorite. Later in the week, he accompanied songwriter Cynthia Biggs to the Big Apple where they attended some industry events and mingled with a slew of music industry heavyweights including Lady Gaga’s manager! Subsequently, Dad privately offered his Double Dutch Daughters some words of wisdom about the music biz and his experience in NYC this week. I asked him to share his thoughts with the world. So, in honor of Father’s Day, my father is appearing as a guest blogger this weekend! I couldn’t be more thrilled. Th-izzanks, D-izzad! H-izzappy F-izather’s D-izzay! F’shizzle.